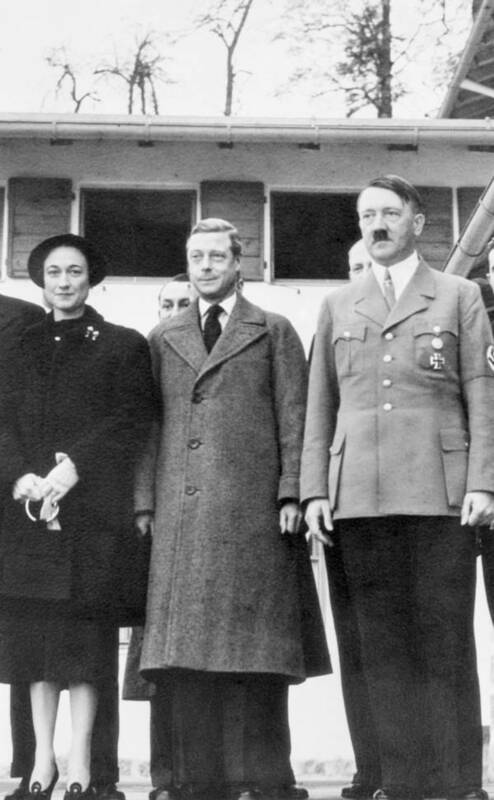 Following his 1937 visit to Nazi Germany, many questioned the Duke of Windsor's relationship with Hitler. But the release of the Marburg Files seemed to confirm any suspicion. 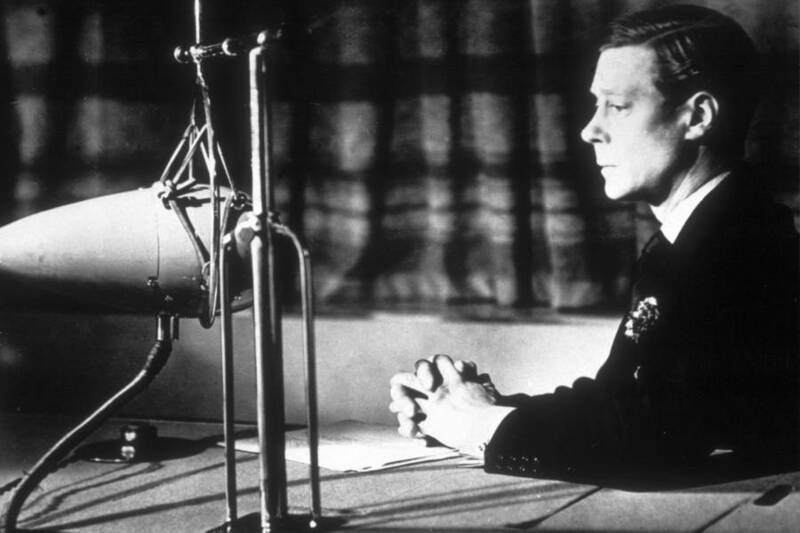 Keystone/Getty ImagesKing Edward VIII, later the Duke of Windsor, broadcasts on behalf of the King George V Jubilee Trust, April 19, 1935. Since before the start of World War II, the British Royal family’s connection to Germany has been called into question. In 1945, U.S. military forces discovered a collection of papers and telegrams, later referred to as the Marburg files, that made the connection even harder to ignore. 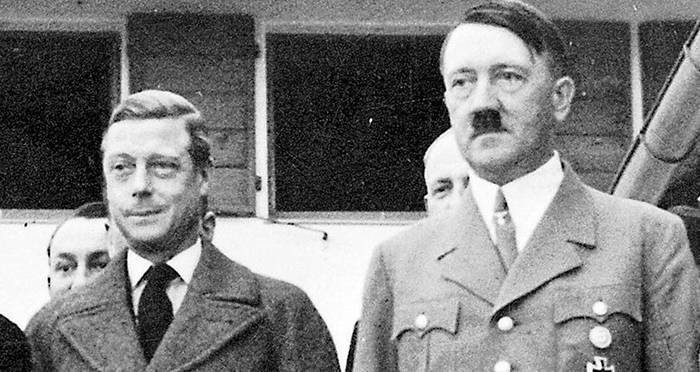 There is arguably no other British monarch more tied to the Nazis than Edward VIII, the former king and Duke of Windsor. His trip with his new bride, Wallis Simpson, to visit with Adolf Hitler in Germany, 1937 was only the tip of the iceberg. The Marburg files would reveal several devastating claims that connected the Duke to the Nazis in ways that his country would later find shameful enough to conceal from their public. 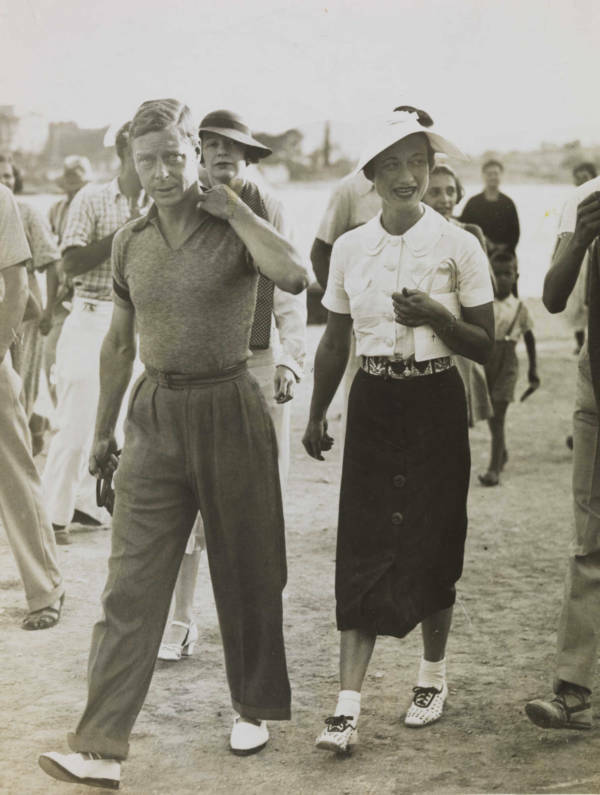 National Media Museum/Wikimedia CommonsKing Edward VIII and his wife Wallis Simpson in Yugoslavia in August 1936. Edward, the eldest child of King George VI and Queen Mary, became king of the United Kingdom on Jan. 20, 1936 following the death of his father. But even before this, Edward had met a woman who would set off a chain of events that would change the British monarchy forever. In 1930, then-prince Edward met an American divorcee named Wallis Simpson. They were members of the same social circles and friend groups and by 1934, the prince had fallen head over heels in love. But the Church of England, which Prince Edward was poised to become the head of when he became king, did not allow for a British monarch to marry someone who was already divorced. Unable to rule without the woman he loved by his side, King Edward VIII made history on Dec. 10, 1936 when he abdicated the throne in order to be able to marry Simpson. “I have found it impossible to carry the heavy burden of responsibility and to discharge my duties as King as I would wish to do without the help and support of the woman I love,” Edward said in a public address whereupon he announced he would not continue as King. 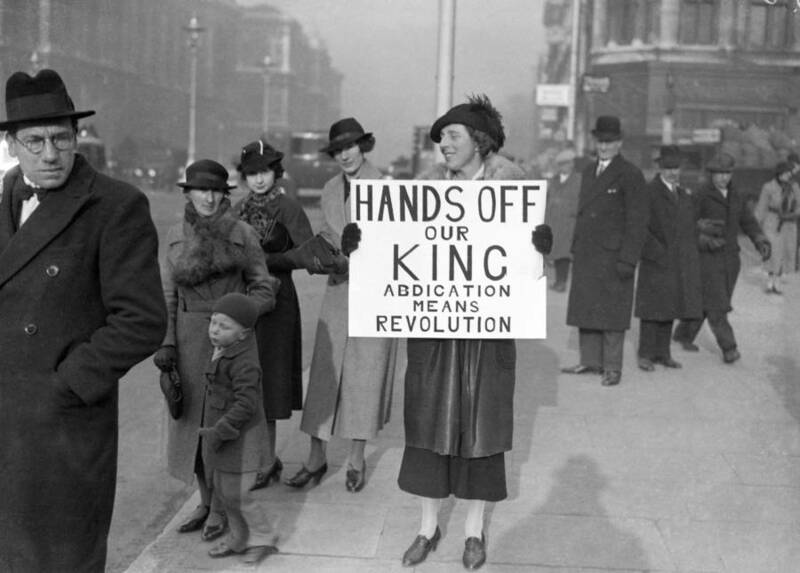 Daily Mirror/Mirrorpix/Mirrorpix via Getty ImagesA woman holds a banner outside the Houses of Parliament following the announcement that King Edward VIII was going to abdicate the throne. Edward, now demoted to the Duke of Windsor, married Simpson on June 3, 1937, in France. The pair lived there but made frequent trips to other European countries, including an October 1937 visit to Germany where they were treated as honored guests of Nazi officials and spent time with Adolf Hitler. This was the first in a long string of incidents that linked the Duke to Hitler and the Nazis, causing a huge rift between the duke and his family. Rumors that the former king was a Nazi sympathizer ran rampant across the world. Once World War II officially began, the Duke became to his family a liability. Once France fell under Nazi control, the Duke and Duchess traveled to Madrid where the Germans attempted to use them as pawns in an ill-fated plan to gain control of the British government. The details of this plan and the Duke’s ties to Nazi Germany would later be revealed in the Marburg files. 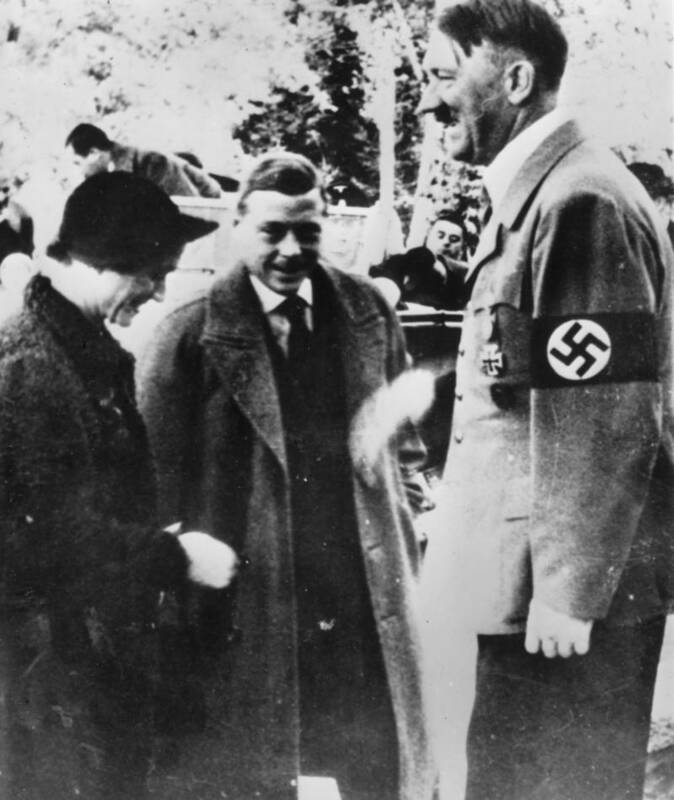 Keystone/Getty ImagesThe Duke of Windsor and the Duchess of Windsor meeting Adolf Hitler in Germany in 1937. The Marburg files are a collection of top-secret German records made up of more than 400 tons of archives from the Foreign Minister of Nazi Germany, Joachim von Ribbentrop. The files were originally discovered by U.S. troops at Schloss Marburg in Germany in May of 1945. All of the material was taken to Marburg Castle to be examined and after further inspection, the U.S. forces discovered that roughly 60 pages of the material contained information and correspondence between the Duke of Windsor and Nazi Germany. These documents consequently became known as the Windsor File. The Windsor File provided definitive evidence of the Duke of Windsor’s relationship with high-ranking Nazi officials and increased the suspicion that he was a Nazi sympathizer. One of the most shocking pieces of information that came out of the Marburg files was the detailed description of Germany’s plan known as Operation Willi. This was an ultimately unsuccessful plan by the Germans to kidnap the Duke and Duchess of Windsor and entice him to work alongside Hitler and the Nazis to either achieve peace between Britain and Germany or reinstate the Duke as Britain’s king with the Duchess by his side. The Germans believed the Duke a more ambivalent ally than his brother King George VI. Consequently, they plotted to lure the ostracized former monarch over to the Nazi side and even attempted to convince the Duke that his brother planned to assassinate him. Bettmann/Getty ImagesAdolf Hitler, right, with the Duke and Duchess of Windsor in 1937 when they visited the Bavarian alpine retreat of the German dictator. In the book Operation Willi: The Plot to Kidnap the Duke of Windsor, Michael Bloch describes the details of the plan which included kidnapping the Duke and Duchess while they were leaving Europe to travel to Bermuda where he had just been named governor. The telegrams revealed in the Marburg files claim that the Duke and Duchess were clued in on the Nazis’ plan to reinstate the Duke as the king and that the Duchess was a fan of the idea. “Both seem to be completely bound up in formalistic ways of thought since they replied that according to British constitution this was not possible after abdication,” one telegram read. Winston Churchill and the crown together made an effort to suppress this information. 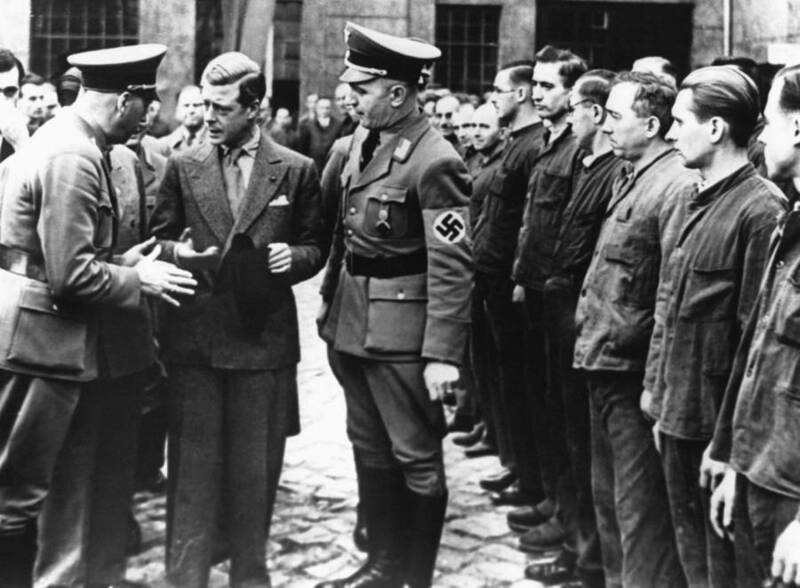 Keystone-France/Gamma-Rapho via Getty ImagesThe Duke of Windsor talks with Nazi officials during his 1937 trip to Germany. The Marburg files were featured in episode six, season two of Netflix’s The Crown. The episode is titled “Vergangenheit” which is German for “past”. Claire Foy, as Queen Elizabeth II, in the episode reacts to the discovery of her uncle’s correspondence with Nazis. The episode also details how the British monarchy and government sought to alleviate the situation. Had Edward had maintained his position as king, would he have supported the Nazis instead of the Allies? No one can possibly know what would have happened had Edward VIII not abdicated. But if the ex-king truly was a Nazi sympathizer and remained on the throne, the world as we know it might not exist today. Next, take a look at the lineage of the British Royal Family. After that, check out these absurd Nazi propaganda photos with their original captions.